They say "It's Wedding Season" almost every other month and why? Because someone is always getting married, no matter what time of the year. While most all of my posts are about destination tips, this one is going to be slightly different. 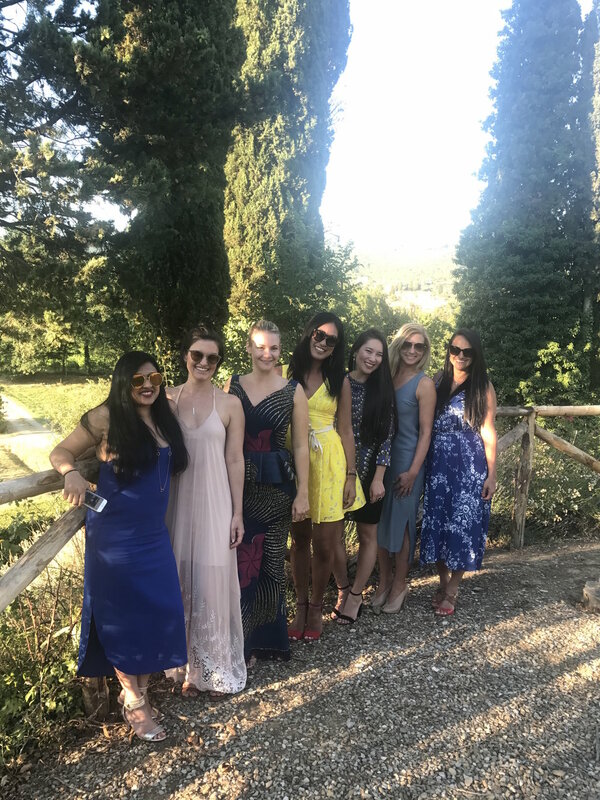 In June, I traveled to Italy to witness two of my friends get married at Villa Palazzaccio in the lush rolling hill countryside of Tuscany. 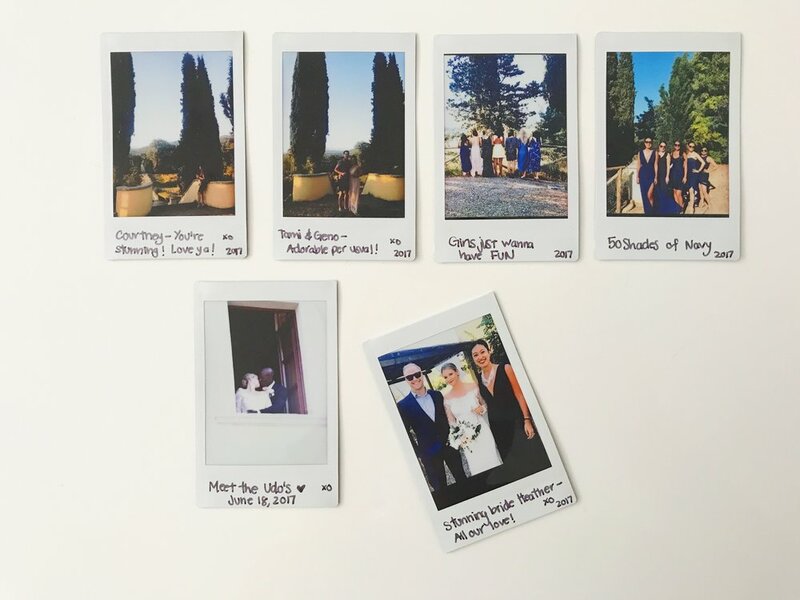 Not only am I a huge fan of destination weddings, but I am also a fan of my Instax SHARE Printer SP-2 at destination weddings. True, I have seen plenty of Italy, but Tuscany, wow, it took my breath away. 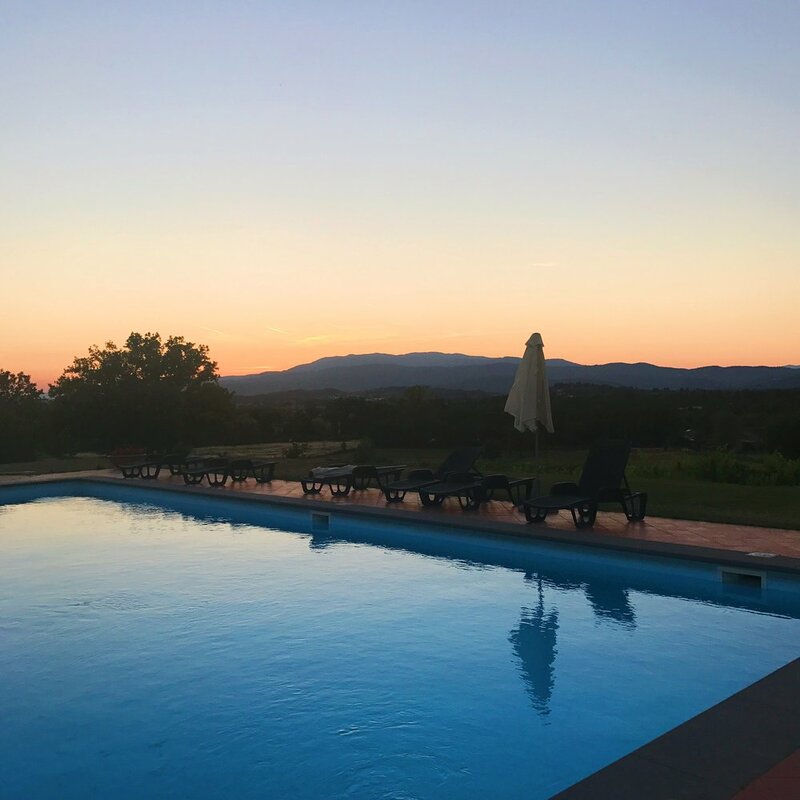 Having stayed at the main Village Palazzaccio for a week, I felt like a princess in a castle; stone staircases, windows overlooking the grand cypress tree driveway, an outside garden patio for morning espresso. It was nothing short of a magical destination to celebrate love with friends and family. 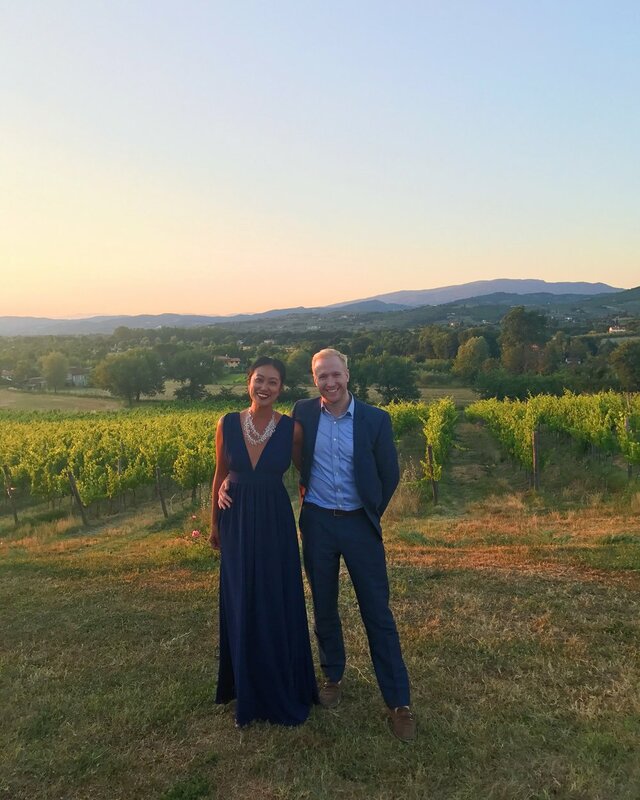 So I am sure all of you know, I try to have my IG husband in tow with me, and since he also doubles as an incredible wedding date, I decided to bring him along. For the 'gram and all. 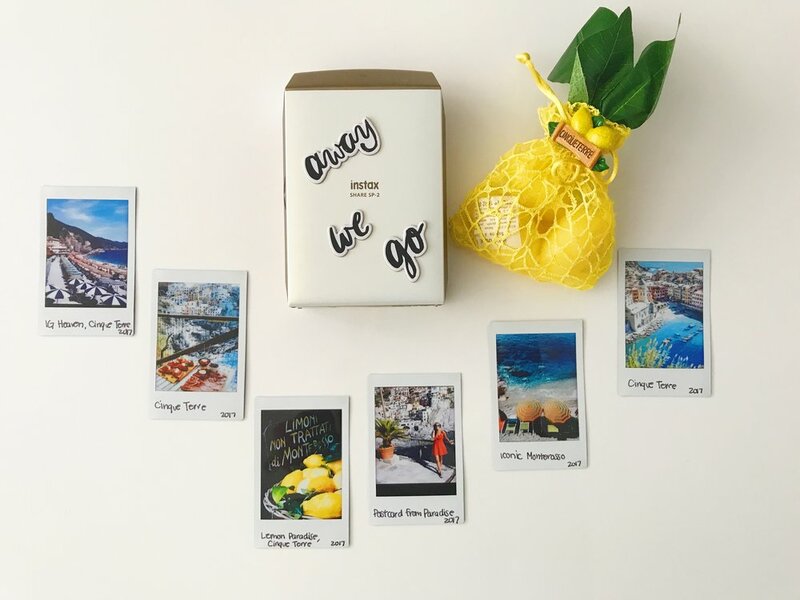 While taking photos from your smart phone is one thing, being able to print them out and send a special tangible message is another. I'm a sucker for a handwritten note, clearly. Below you will find the images directly from my smartphone and then printed out from my Instax SHARE Printer SP-2. In between wedding activities, I obviously had to stay busy. Day trips from Tuscany to Florence only required about a 45 min drive but I decided I wanted to make the almost 3 hour trek to the coast, to explore the Italian seaside town of Cinque Terre. Five towns boasting colorful houses clinging to steep terraces overlooking harbors filled with fishing boats and iconic stripped umbrellas was exactly where I wanted to be. I'd say, of the 5 towns, I was most enchanted with Manarola, which I am sure most will agree with. Click here for more on my journey through Cinque Terre. Because of the grandness of the Villa Palazzaccio, the bride and groom put together the most stunning rehearsal and wedding receptions overlooking the vast vineyard that the property sits on. 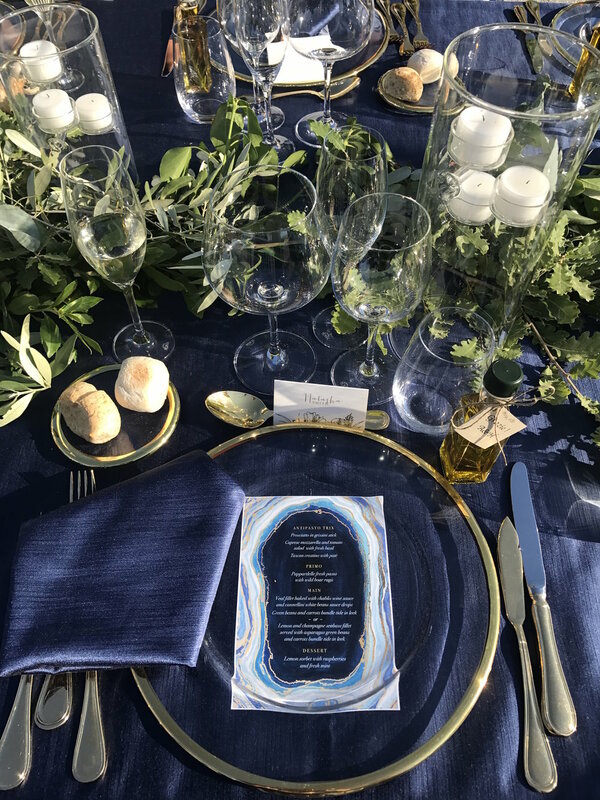 With an incredible sunset, a guest list looking sharp and dressed entirely in navy blue at a viking style table, we witnessed two great friends embark on a new journey together. As cheesy as it sounds, people love holding physical pictures, whether they admit it or not. So while IG husband took plenty of pictures of me against pretty backgrounds, he was also able to capture amazing memories of the girls all around. So really he was their IG husband too 😉 Here is where my Instax SHARE Printer SP-2 came in handy. Being able to directly print images with friends from my smartphone and then leave them some memories of our time in the Italian countryside was pretty epic. Plus, you guys know me, I travel with a Sharpie always so its easy enough to leave little notes for people on the bottom portion of the print.